Ah, Mighty No. 9. Keiji's Infaune's Kickstarter smash was born in a blaze of hype, but the end result wasn't quite what people were expecting when they gleefully pledged their cash back in 2013. At least Comcept is following through on its promises, even if they're a little late. During the campaign, a special premium tier was offered to those who pledged $60 or more (that was 16,155 backers, as it happens). This would bag you a Famicom-style box and manual. It has taken until now for Comcept to actually get these items out to people, and just like the game, backers are pretty unimpressed. For starters, you have to assemble the box yourself (there's no game inside, the reward was just the packaging). Once you've done that, you then discover that the manual doesn't actually fit inside the box. Mighty No. 9 is yet to launch on the 3DS, but Comcept is assuring backers that it's still happening. Are you one of the lucky backers who has just received this rather dubious reward? Share your disappointment (or otherwise) by posting a comment. As expected. 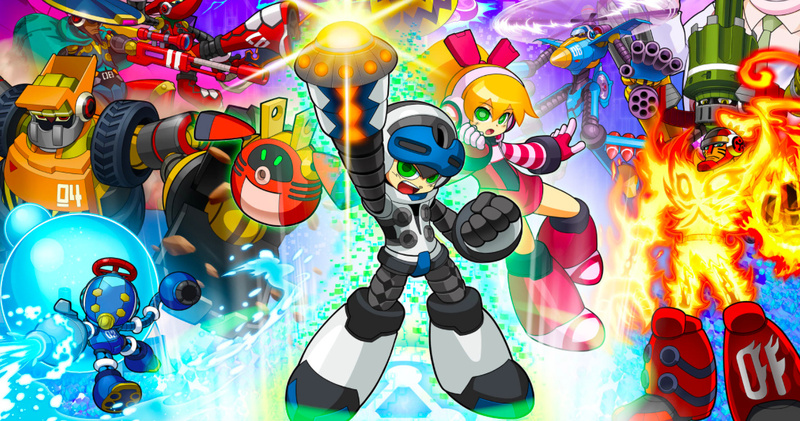 No wonder Inafune got fired as I heard. A complete disappointment. I've got nothing else to say. This game is a garbage bag that is cursed to never leave my kitchen. Will this abject failure please leave my memory?! At once! @Yasaal Wait a minute! Inafune got fired? When? @Yasaal I knew he got 'fried', but not fired! Ah high hopes. My love for all things Mega Manish was my undoing in this debacle. This steaming heap could barely run on WiiU and PS4 so, I'm extremely skeptical about a 3DS version. In hindsight, this one still stings a bit. @MagicEmperor @Eddyson In December 15, 2010 he "left" Capcom inspite of there not being any problems. His excuse for "leaving"? 'I wanna start my life over', and that's something most fired people say. These 2 things point towards this conclusion which people like me believe to be true. No one would leave a successful company with the words "I wanna start my life over'" especially if the person in general worked on many Mega Man games. Inafune's story isn't Kojima's story where he was pressured. @Yasaal oh ok, I thought he go fired at ComCept. @Yasaal the way you said it with no explanation made it sound like he had been fired from Comcept, or at least that's what I assume the confusion was. Lmao. Well at least they're remaining consistent. Is there anything that they did right with this game?!? When will people learn with this rubbish!!!! This is akin to getting an email asking for money!! Can you really call it a "reward" at this point..? "A representative for Fangamer has responded on the oversized manual situation: 'The English manuals fit the NES-style boxes correctly. Unfortunately, the Japanese manuals were printed at the same size as the English manuals, which don’t fit the Famicom-style boxes. We will be shipping a properly sized replacement manual to everyone who got the JP box+manual (at no additional charge, of course).'" The manual doesn't fit inside the box. That actually made me laugh! Wow, 60$ to get this? I'd be happier with the phyical, boxed, 19.99 retail version for Wii U. It even has the game inside. The manual was also supposed to be in color. Just add that to the long list of let downs. @Yasaal My bad! I thought you meant Comcept. But yeah, my opinion of him soured since, and it's interesting to revisit old statements from him. Hahaha, ohhhh wow that his hilarious in how sad it is. This game has been one fail after another. 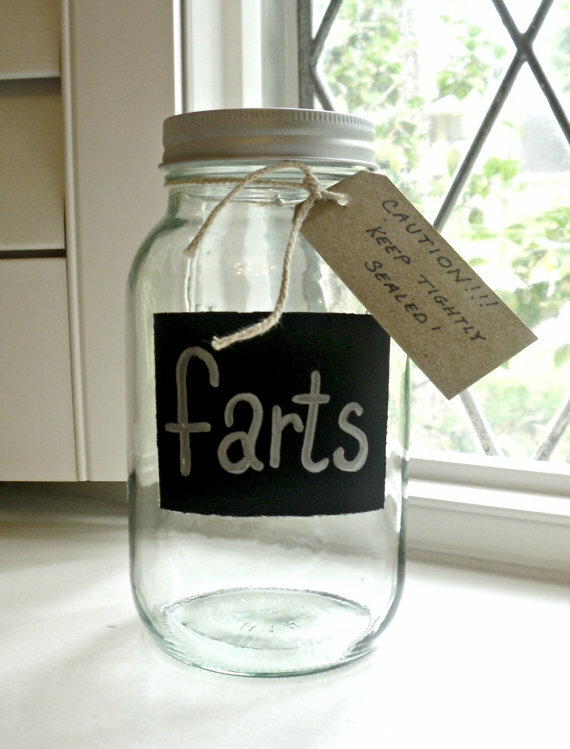 A jar of farts would have been better than this. Imo the game was decent, but this is just sad. Maaaaaaaaaan I'm glad I told my friend to not back this. @DaLoneSheep They released it on Wii U like they originally promised, instead of moving onto the Switch like some other Kickstarters we can name (who are entirely justified in doing so, it's just disappointing for Wii U owners who don't have Switches (of which I am not one)). 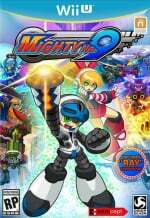 Sometimes i think about what could actually happen if MN9 didn't get those 4 millions. It seems they were so blinded by all that money, they forgot about everything else. 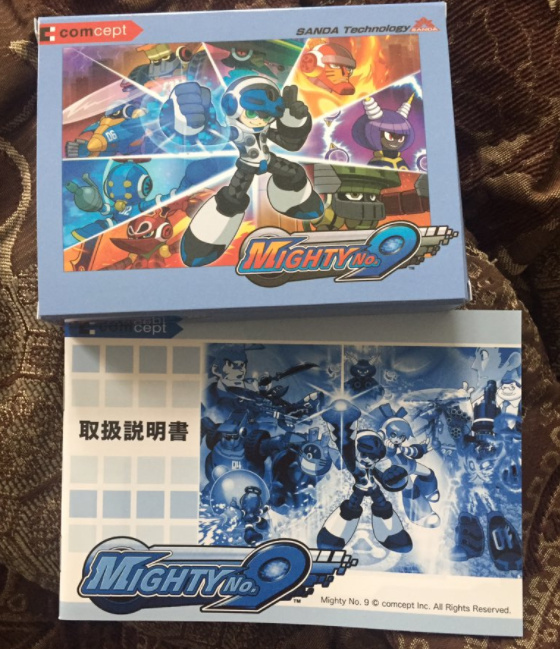 ............the manual .... doesn't fit into..... the box...??? Such a shame. I didn't back it, but I wish the game would've turned out better. It was a good comcept. I wish I would have kept all my NES boxes. Wow, I expected better from Fangamer. I've bought tons of stuff from them and it's all been fantastic. This is why I don't and won't pay for an idea or any unfinished product. I guess they were just looking for reason to get rid of cardboard they had left since the campaign. Starting to wonder if I'm going to get this instead of my DVD case with PC copy inside. Not that I care too much now. Still would like it as a "Trophy of Shame" in my collection. The above image should be included next to every reference to the word "Kickstarter" until the end of time. After this game I don't support Kickstarter anymore. The overall development of this game reeks of disappointment and mistreatment for fans. Its a disaster, and the worst part is that the character and concept is pretty cool but the execution was very very poor. It makes sense to ship flat so it doesn't squish. It doesn't make sense that the manual doesn't fit. Mighty Gunvolt Burst is the only enjoyable No 9 game. Mighty No. 9 basically killed Kickstarter-funded games. What a total crap show. This is just embarrassing. Clearly, they just didn't care. If you want the box and game combo, gotta go to stores DAT currently have the game on clearance. Hope the anime is still happening. Want to see how badly they can screw that up too. Maybe they will kill the entire anime scene too. The fact that the Japanese manual didn't fit the box after all this time did make me laugh quite loudly. This has to be one of my favourite stories from this year in terms of general buffonary. Although my heart goes out to the people who were given such a turd as a reward for pledging.